Frederick Swanston’s health care practice boasts among its client base three segments of the health care industry: the provider (hospital and device), the health plan and the pharmaceutical company. Often at odds, today they frequently find themselves “bedfellows”. Working with all three has given us an in depth understanding of the entire health care spectrum, whereas many ad agencies represent only the providers. Fierce competition plagues all three segments, and they’ve learned the art of proactive customer outreach. Pharmaceutical companies continue to do push-pull advertising, educating the consumer and driving him/her to ask the physician about specific medications. Pharmaceutical “detail reps” have more sophisticated sales software and have designed iPad presentations to convey messages to physicians in a three-minute opportunity. Health plans have ramped up their technologies to better understand their individual consumers, true one-on-one marketing, with databases to penetrate the member’s health status and Rx buying behavior, not simply psychographic and demographic profiles. Their competitive strength will be the ability to turn this data into knowledge and subsequent “action” to improve the member’s health status. Health plans are selling these products to large employers by offering preventive and wellness strategies for employees and an interactive engagement plan for those with chronic or acute diagnoses, all intended to keep employees at the workplace longer, healthier and happier. Sophisticated hospitals are using databases to better understand and target their patients, but the majority continues to do mass marketing with little understanding of the individual patient’s needs or wants. A common theme across all three categories is greater consumer engagement, especially with health plans and hospitals: the patient (or “member”) is beginning to drive operational changes and process improvement, demanding plan changes and/or hospital operational changes. The Affordable Care Act (ACA), although predominantly an insurance law, has brought the focus of health care to the forefront with a consumer voice that is louder than ever before. Medical Homes are being established by both insurance plans and hospitals, not just to reduce costs, but also to improve care integration for the patient/member. Advertising with patient testimonials, touting the improved services, has become a popular methodology (albeit not a new one) to communicate these changes to the general consumer. So what is the value of advertising in this new environment? Advertising drives new business: at an estimated annual cost of $2.5 billion, pharmaceutical advertising direct to consumers has made drug companies and brand products household names (e.g., “the purple pill”!). A great deal of advertising, especially for health plans, is taking a wellness approach (examples include Kaiser Permanente and Humana). Even pharmaceutical advertising, though promoting a drug for a chronic illness, uses visuals that underscore wellness. 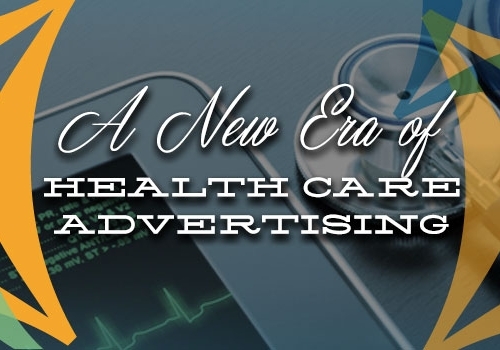 Health care advertising always needs to balance the company’s desire for profit with the consumer/patient perspective that one’s health should not be a profit-making business. In pharmaceutical advertising, there’s intense regulation about what you can and cannot say (for instance, no comparison marketing, amongst other tough restrictions); but in hospital marketing anything goes (e.g., the “Piedmont Better” campaign). Health plans are attempting to provide “alerts” to physicians and pharmacists to make sure patient care is not compromised. Hospitals are hiring specialty consultants to “educate” physicians and clinical staff on the latest treatment modalities in specialty areas (e.g., oncology). Hospitals continue to promote quality rankings and will remain interested in if and how these rankings influence consumer decisions in the future. The pharmaceutical industry is and has been extremely focused on important safety information. All three categories are now offering reduced cost options to drive new business. Consumers are becoming more aware of costs as deductibles increase. Hospitals are offering free screenings as an entry point and may consider working with health plans to do this for select members. Diagnostic imaging facilities are offering MRIs and CTs at a fraction of hospital-based prices, with much greater ease of access. Pharmaceutical companies are offering coupons on the web or through the physician to minimize the patient’s cost, as a way to compete with generics or other competitive drugs. Health plans are offering free wellness visits, opening their own outpatient centers, and offering reduced premiums to companies whose employees get wellness checks. To discuss these topics further or learn more about Frederick Swanston’s health care capabilities, please call us at 770-642-7900 or email Una Newman, health care practice leader, at una@frederickswanston.com.